1) The importance of persuasion: Frame once wrote that “We are not seeking merely to validate statements but to persuade people” Human beings are emotionally invested in the beliefs and opinions they hold. Frame taught me to persuade in love lest you persuade in vain. 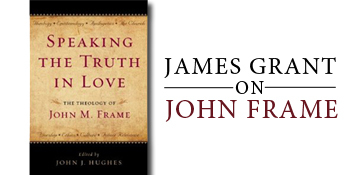 2) Theology as application: Frame taught me that theology becomes fruitful only when it’s applied. He defined theology as: “The application of the Word of God by persons to all areas of life.” This has deeply shaped my pastorate. 3) We are multi-perspectival: We are not imprisoned by one way of looking at certain ideas. God has made us creative in our thinking, therefore ideas can be shaped by what is normative, situational, or existential. We are holistic image bearers which humble us as we dialogue with other image-bearers. Theology is the application of the Word by persons to the world and to all areas of human life. We need theology not because there is something wrong with the Bible, an improper form perhaps, but because there is something wrong with us. The Bible is fine, just as it is. The problem is that we are slow to grasp it, both because of our weakness and because of our sin. So the theologian, like a good preacher, takes the biblical text and explains it to us. I cannot help but mention my conviction that this problem is partly the result of our present system for training theologians. To qualify for college or seminary positions, a theologian must earn a PhD, ideally from a prestigious liberal university. But at such schools, there is no training in the kind of systematic theology I describe here. Liberal university theologians do not view Scripture as God’s Word, and so they cannot encourage theology as I have defined it, as the application of God’s infallible word. Students are welcome to study historical and contemporary theology, and to relate these to auxiliary disciplines such as philosophy and literary criticism. But they are not taught to seek ways of applying Scripture for the edification of God’s people. Rather, professors encourage the student to be “up-to-date” with current academic discussion and to make “original contributions” to the discussion, out of his autonomous reasoning. So when the theologian finishes his graduate work and moves to a teaching position, even if he is personally evangelical in his convictions, he often writes and teaches as he was encouraged to do in graduate school: academic comparisons and contrasts, minimal interaction with Scripture. In my judgment, this is entirely inadequate for the needs of the church. It is one source of the doctrinal declension of evangelical churches, colleges, and seminaries in our day. Evangelical denominations and schools need to seek new methods of training people to teach theology, educational models that will force theologian candidates to mine Scripture for edifying content. To do this, they may need to cut themselves off, in some degree, from the present-day academic establishment. And to do that, they may have to cut themselves off from the present-day accreditation system. —John Frame, The Doctrine of the Word of God, p. 278 n. 6. This discussion is sometimes caught up in eschatological debate: is the Kingdom of God only future or is it in some sense present now? Sometimes it is waylaid by debates about the roles of church and state (as Horton’s exposition of the “two kingdoms” view on 206-217). But apart from these debates, isn’t it obvious that when people come to trust in Christ they seek to bring biblical standards to bear in their workplaces? Paul says, “So, whether you eat or drink, or whatever you do, do all to the glory of God.” (1 Cor. 10:31) Can we possibly exclude from “whatever” our work in politics, the arts, or finance? And can we possibly forbid the church to give us guidance in our attempts to improve society? What does it mean to be engaged in politics to the glory of God? That is not always easy to define. I would agree with Horton that Christians often exaggerate their expertise on social issues; sometimes nonbelievers can do a better job of gathering the relevant facts. But if I am charged with the work of planning national health care, I certainly must ask how biblical principles apply to that. When a believer produces a sculpture, it may be difficult for him to see how his faith is relevant to each stroke of his tool; but he certainly doesn’t want critics referring to it as a symptom of modern nihilism. So Christless Christianity is essentially an evaluation of the American church, not from the standpoint of a generic Protestant theology, but from what I must regard as a narrow, factional, even sectarian perspective. Readers need to understand this. Frame’s full response to Horton HERE. Editor’s Note: This article was first posted in December of 2004. Westminster Theological Seminary (Philadelphia) is today one of the most well-known seminaries in the world. When J. Gresham Machen proposed a new seminary in 1929 (see Gary North’s analysis of Westminster’s history in his book : Westminster’s Confession: The Abandonment of Van Til’s Legacy ) few believed it would be as recognized as it is today. However, since Machen’s death on January 1st 1937, his followers have found many ways to keep themselves busy in intra-mural debates. At first it was the serious matters of debate (inerrancy vs. German Higher Critics), but then when that was over they found ways to entertain their warring spirits (some of these men were and are still gracious and humble theologians; but it is my contention that their involvement led to more confusion than biblical resolve). Machen’s influence in Reformed denominations has led to a host of debates that have afflicted the Reformed church for over 60 years. In his magnificent article, Professor John Frame (RTS/Orlando) lists with clarity the many debates that have occurred as a result of Machen’s legacy. The article is called: Machen’s Warrior Children. In this extensive article Frame traces the 22 most heated discussions in Reformed circles in these past six decades. 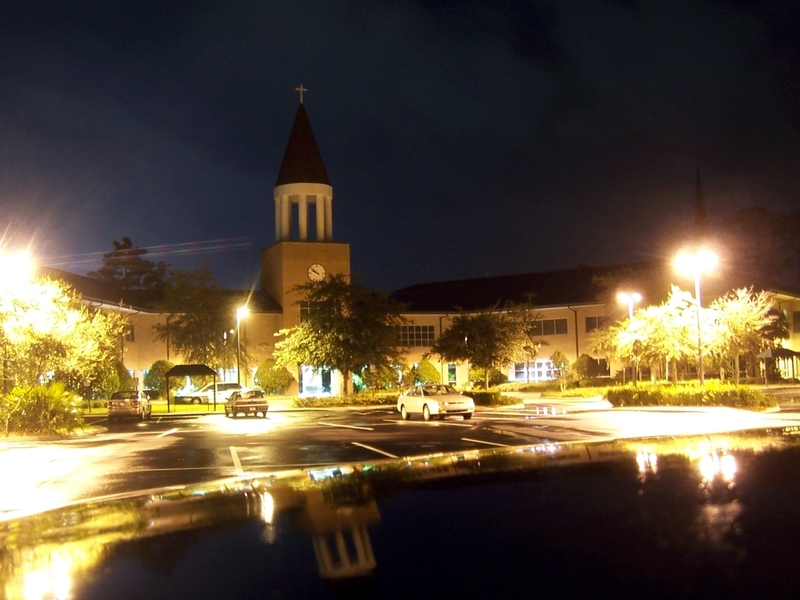 Some, of course, are more heated than others–such as Theonomy vs. Westminster Seminary– but Frame’s prayer (see the end of the article) is what he calls an “unrealistic dream;” a dream that there may be peace in the church and that the body of Christ would unite for the sake of the kingdom. All debates in theology are debates that necessitate discussion, but not all debates necessitate division. Herein is the problem for theologians and for those who desire to be theologians (myself included): we do not have the wisdom to decide what debate is worthy of discussion or division. Perhaps Frame’s article will instill a bit more caution and discernment in these matters. After all, Paul’s prayer was that “our love may abound more and more in knowledge and depth of insight, so that you may be able to discern what is best and may be pure and blameless until the day of Christ, filled with the fruit of righteousness that comes through Jesus Christ – to the glory and praise of God” (Phil.1:9-11).